Are you struggling to carve out time to spend together? Are you and your partner on different pages when it comes to finances or children? Relationships, no matter how strong, have their share of challenges. And that’s not a bad thing. Often times we just need some new tools and techniques to navigate through them. New listening and communication skills will help initiate more constructive conversations. We have been married 28 years saying “I do” at 19 and having twin boys at 21. There were times that we worked opposite shifts to support our family, often only seeing each other in passing. Communication was almost non-existent. We faced major moves, leaving family and friends to take a job. The job wasn’t quite as advertised causing Bob serious health issues and putting major strain on our finances. By this time our relationship was in shambles. A short separation forced us to take a hard look at our marriage. We agreed our relationship was important to us so we tried again. Things have not been perfect. Bob worked 2 hours away from home for over a year. It meant Holly was left to parent alone the majority of the time. Holly lost her job just a few months after being offered a promotion. We ended up losing our home because of it. We have struggled, fought, and thought it was all over. We pushed through the obstacles and have come out the other side stronger. We want to help you! Offering you the tools you need and kind of support that let¹s you figure things out for yourself. We believe in the possibility of real & lasting love for anyone who strives for it. Let’s work together to help you create your Miracle Marriage. I am a relationship and dating coach and focus on helping clients create fulfilling, satisfying and long lasting relationships through methods of intentional love. I work with clients to deepen their emotional and physical connections through mindfulness, effective communication tools and value based goal setting. I have been on a life long journey to help people work through struggles and live their best lives. I have a B.A. in Psychology and an M.A. in Clinical Psychology. It was my work at the community mental health center, where I realized how important creating a personal connection is to helping clients set and achieve their goals. I am also a certified yoga instructor which has given me a deep understanding of how intention and mindfulness plays into both our everyday behavior and long term goals. I decided to tie all of my knowledge and experience together with whole person coaching and received my WPCC in 2018. As someone who has been in a 28 year relationship, I realized my true passion lies with helping couples connect and love deeply. Even the healthiest relationships can suffer from a lack of connection and lose their momentum. Most couples become physically and emotionally disconnected from each other not out of malice, but out of mindlessness. When relationships go on auto-pilot, needs become neglected, resentment builds and connection deteriorates. This problem does not necessarily stem from a lack of love, but rather a lack of gratitude, excitement, passion and intention. 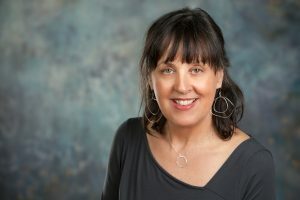 My positive focused and solution oriented coaching techniques are specifically designed to improve your communication skills and day to day interactions, deepen your emotional connection and address issues surrounding physical intimacy. Relationships, like health and fitness, take effort to maintain. You wouldn’t go to the gym for a month and assume your fitness journey was complete. In order to reap the benefits of a healthy relationship, you must be willing to put in the work. I look forward to helping couples reclaim their happiness and deep connections so that they can enjoy the meaningful and satisfying relationships they desire and deserve. Contact me today and take the first step to making your relationship all it can be! Location: Sessions are held remotely via Skype / Whatsapp / Viber / FaceTime / Zoom or onsite in several countries I travel to for trainings/workshops/seminars. As a child, I saw, heard and sensed things that others did not. Up to the moment when a traumatic experience in my adolescence along with family expectations “conditioned” me so that I could “fit into the mold”. Always “top of my class”, to keep the family tradition going, my main goal became to “succeed” in life: I became an English teacher and then a lawyer. The goal that had been set by my family and the ambition that I had imposed on myself in order to fit in were satisfied: I had a good thing going, working in prestigious law firms, and then starting my own private practice, in Athens, my hometown. Tired morally and physically, a “voice” pushes me towards Yoga. It was the timid start of a renewal. Yoga relieved me of my stress and, as a result, my health improved. Even though I was still a “realist” and I remained skeptical as far as alternative methods of dealing with problems were concerned, I decided to try out some of them out of curiosity. And, what do you know, they worked (for me)! My energy therapist was not subtle when she reminded me of my innate sensitivity that only needed to flourish and express itself for my health to improve. It suddenly all came back to me. I could “see, hear and feel” again. I was overwhelmed. It was as if I had been struck by lightning. Thankfully, she taught me how to switch it on and off and trained me in therapeutic Channelling. I then discovered Reiki through Evdokia, a Reiki Master, who will forever remain in my heart and who I could never thank enough for everything she has taught me. I learned a lot more than just practice Reiki with her. One thing led to another and I trained in other methods, such as Hypnosis and the Enneagram. I experimented with Divining rods and learned how to use them to check and equilibrate people’s and places’ energies. I shyly began practicing on friends, then friends of friends, then people who had heard of me through acquaintances and, without being able to pinpoint the exact point in time, I found myself practicing these methods as my profession but in reality I found my vocation! Nevertheless, I felt that something was still missing. What was missing was a method, which would help the people I accompany believe in themselves and in their ability to overcome whatever life threw at them, a method which would give them instant access to their inner wisdom, knowledge and resources. 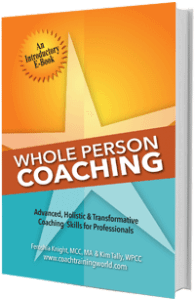 That is the reason why I turned to Whole Person Coaching®, which does exactly that: it sees people as whole and perfectly capable of dealing with life. Using active listening, powerful questioning and insight sharing, it leads people to self-discovery and it gives them an amazing tool they can use on their own in any situation at any point and in their lives. I believe in people. I believe in their goodness, in their inner wisdom, in their ability to live life fully staying true to themselves. It is by accompanying people towards well-being and inner peace that I found who I am and what my purpose in life is. At long last, I am living my truth, guided by my inner wisdom. I am finally at peace. If you find the journey to self-discovery and a fulfilling life tempting, I will be happy to accompany you along the way. 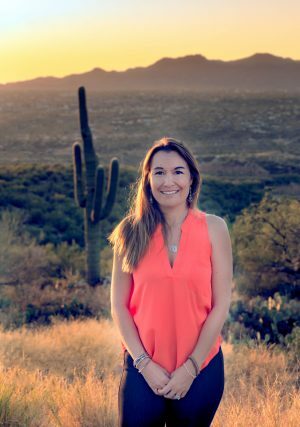 Emily is a Money Mastery Coach for women and partnered couples who want to become informed and empowered financially so they can live the life they know they’re meant for. She combines her extensive background in finance leadership development and management consulting with a lifelong love of personal development and spiritual growth to help clients get clear on what they want and how to get it without leaving money on the table. She is results-oriented and her background supports the coaching process to unfold organically, efficiently and effectively. 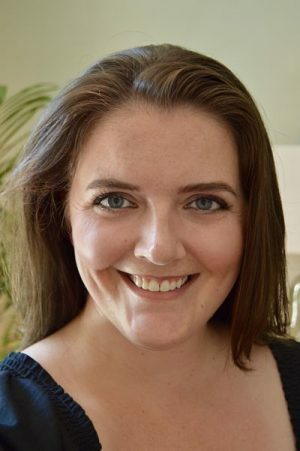 She is passionate about personal finance, effective time management, confidence in communication, self-improvement and stress management techniques, and she brings her unique knowledge, experience, and years of research in these areas to support clients in reaching their highest potential. She is especially passionate about financial clarity for young people early in their careers, as well as creating dialogue about money in relationships. She works with women individually, as well as partnered couples who want to get on the same page financially. I coach in three areas – right partner, right livelihood, and Parent as Life Coach (coaching you to coach your kid(s) to approach life with a resilient and creative-problem-solving mindset). Clarity of intention, creativity, courage, and resilience are all learnable skills that put your dream within reach. Our coaching time will be strength-based, future-focused, and collaborative. You will explore creative processes that uncover the next step on your journey, experience inner shifts that inspire heart-centered action, eliminate blocks to taking action, and put accountability in place to get results. I am a CPC, Certified Professional Coach, trained in Whole Person Life Coaching through Baraka Institute – Coach Training World in 2015. At the heart of whole person coaching is respect for the client, and trust that he or she is whole, complete and resourceful. My M.A. in Spiritual Psychology is a natural fit with whole-person coaching. My B.S. in Computer Science and my years designing and building computer systems trained me to be solution-focused and results-oriented. My work in Addiction Counseling strengthened my belief that the start of your life does not define the rest of your life. No matter what you’ve done or what you’ve been through, a future with purpose and meaning is yours to create. 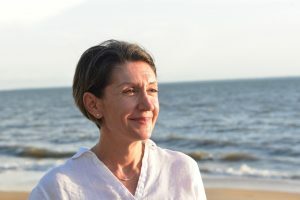 I have decades of experience working with people who are undergoing major life changes – workers undergoing radical innovation in their daily work processes, families coping with a terminally ill family member, men preparing to leave prison, families in the adoption process, professionals undergoing corporate acquisition and downsizing. Being a partner on your journey, walking side-by-side as your life transforms, is a great privilege. I have compassion and understanding for people facing obstacles in achieving their dreams. I’ve learned to turn the challenges on my journey to my advantage, and to use every experience as an opportunity to learn, grow, and evolve. I find joy & growth, purpose & meaning through my coaching, marriage, parenting, creative pursuits, friends & family, and spiritual practice. I live a life I love while being true to who I am. I hold the vision for you to create that in your life as well. I offer a free call to anyone who would like to contact me and reserve a time. We can have a conversation and see if we are a fit to work together. Jeri completed coach certification with Coach Training World specializing in life coaching, mediation, and change management for individual careers and businesses. She has worked for over 12 years in rapidly growing companies, most recently the San Francisco tech start-up and sharing economy pioneer Airbnb. We all need Love, Gratitude, and Happiness. It’s a challenge to own and share these, as well as what makes us unique. We need to build our Confidence, Connection, and Comfort. I help clients to develop and own these skills. I work with clients to give them the tools they need to have enjoyable and fulfilling Social, Professional, and Romantic Relationships. We’re more capable than we give ourselves credit for. We just need some Guidance, Encouragement, and Support. That’s where I come in. As a Life Coach, I’m trained to be the listener clients’ need. Beyond that, I have a B.S. in Communication Studies with a Minor in Health. I focus on relationships and their impact on us and our stress levels. Together we will master Confidence, Connection, and Comfort so we can be in control of our Love, Gratitude, and Happiness, and make the most of our Social, Professional, and Romantic Relationships. 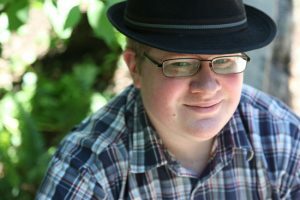 I have a number of free resources on my site, JustinCassens.com, and I offer a Free Exploratory Session to show how I can help and answer any questions you might have. I look forward to helping you make the life changes you need to put Love, Gratitude, and Happiness in your life. Take care and be kind. Jim Kelley, founder of ChangeWorks Institute, is a coach, author and researcher specializing in personal development, peak performance, and success coaching. Jim is also creative director, developer and lead explorer at the Portland, Oregon-based ChangeWorks Coaching Lab, a coaching and research office focused on helping people get into and manage the flow of change in their lives. Jim has spent the last 25 years learning and developing what’s now known as the Self-Directed Change Method®. 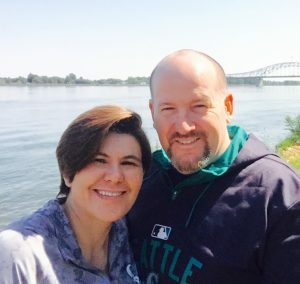 Since 2009 Jim has been coaching clients from his offices in Portland, Oregon USA, and asks everyone to work on this one question: If everything were easier and more fun would that be okay? You can connect with Jim and friends, and check out what’s up in the Coaching Lab, including free training and ideas at https://www.changeworksinstitute.com/resources . And always feel free to tell us how it’s going for you, we’d love to hear your story. Sherrie currently leads the Wings Seminars program as well as serving as its lead seminar facilitator. Since 2008 she has worked with individuals, groups and teams helping them to excel in both their personal and professional lives. She facilitates spiritual travel adventures to Bali each year where she offers individual coaching and opportunities for spiritual development. She is a certified master practitioner, trainer and coach of neuro-linguistic programming, or NLP, a communication approach, and has more than 9,500 hours of facilitation and training. Sherrie has had a long affiliation with Wings, serving as a facilitator since 2008. 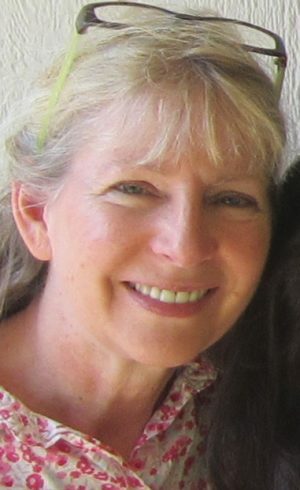 A native Oregonian, Sherrie lives in Corvallis with her husband, Michael Frank. She has three grown children and four beautiful and brilliant grandchildren. She is curious by nature and loves people, travel, learning and being fully engaged in life.